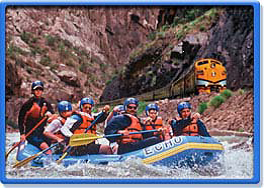 WHEN: 2016 - Hudson Valley Scouts will have the opportunity to embark on the adventure of a lifetime! WHO: To attend Boy Scouts must be 14 years old OR have completed the 8th grade and be at least 13 years old. All participants must meet the Boy Scout Height and Weight requirements. Your Scouts will be attending with leaders from the Hudson Valley Council. 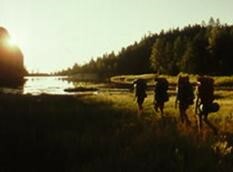 COST: The cost for the adventure will include food, training, Philmont programing, and travel expenses. Our council contingent will cost each Scout approximately $2300. Scouts and their parents will have the opportunity to give input as to which adventure the Scout would like to participate in. There are a limited amount of spots open to attend, after our limit is met Scouts will be put on a wait list. To hold your spot, a non-refundable $200 that will go towards the overall cost. We are currently accepting reservations for interested troops or Venturing Crews that are interested in attending Philmont July 6-18, 2016 with a 2-3 day excursion beforehand leaving on July 3rd or 4th. Participants should expect to leave early morning on July 5, 2016. We have 2 crews of 12 participants for a total of 24 spaces for our Contingent. Please let Chris Clark know if you are interested ASAP. Cost will be estimated at $2,300 per person. This includes the Philmont Fee, Blue Sky Adventure Tours Fee, Airfare, All Meals, Busing to and from Airport, and all Liability. The first deposit of $200.00 will be due April 1, 2015 OR when signing up which is non-refundable but is transferrable.